Bundesliga outfit Borussia Dortmund have slapped a £100m price tag on their superstar winger Jadon Sancho following interest from Manchester United. The England international only moved to the Westfalenstadion in 2017 after a dispute over first-team football at Manchester City, signing a five-year contract with the Black and Yellows in a £7m deal. 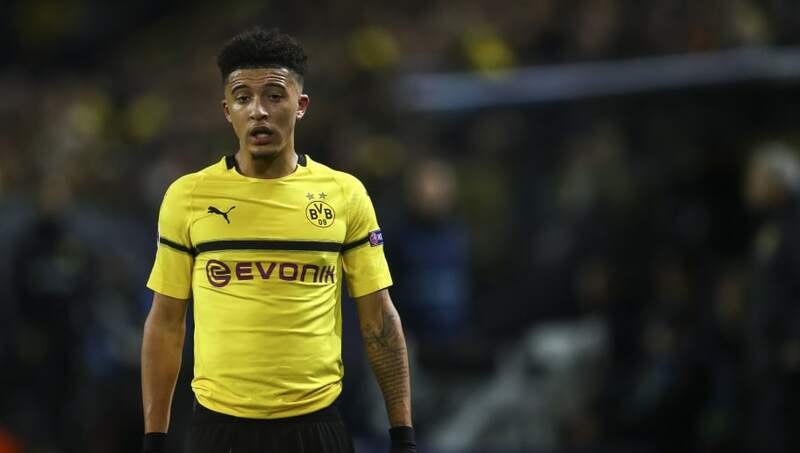 The 18-year-old has unsurprisingly been attracting a lot of interest ahead of the summer transfer window, but a report from The Mirror claims Sancho has been given a £100m price tag by Borussia Dortmund in an attempt to fend off any interest in the teenager. Dortmund have already sanctioned Christian Pulisic's £57m move to Chelsea which will be completed at the end of the season, while there is still money left over from the recent high-profile sales of Ousmane Dembélé and Pierre-Emerick Aubameyang. The Bundesliga title challengers aren't in any rush to let Sancho leave the club, even in a club-record deal, but it's looking increasingly likely as Borussia Dortmund have now targeted Chelsea's Callum Hudson-Odoi as a potential replacement. Sancho's England international teammate is already being eyed up by Bayern Munich and the Bavarians were eager to sign Hudson-Odoi during the January transfer window. RB Leipzig have also been keeping tabs on the Chelsea star, but Borussia Dortmund could leapfrog their rivals in the race for Hudson-Odoi's signature given their track record of developing young players.